Uninor today announced the launch of Full Talk time Hungama, an offering which brings its customers across Bihar & Jharkhand the opportunity to avail Full Talk time on STV 15, 30 and 50 without any deductions and with unlimited validity. In addition to this, Uninor will also offer additional 30 and 50 on-net Night minutes on its STVs of 30 and 50 respectively. This offer comes close at the heels of the success and popularity of STV 5 with full talk time amongst Uninor’s customers. Full Talk Time Hungama is a unique offering that enables customers to choose their preferred recharge option from the bouquet of STV 5, 15, 30 and 50 basis their needs and usage pattern. 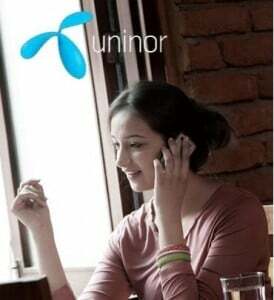 Continuing its endeavor to empower its customer Uninor also packs STVs 15, 30, and 50 with unlimited talk time validity – meaning it gives customers the freedom to use the talk time as per their own will.The on-net night minutes bundled with STV 30 and 50 come with a validity of 30 days. Uninor customers can recharge with above mentioned STV denominations from retail outlets and Uninor branded stores across Bihar & Jharkhand.